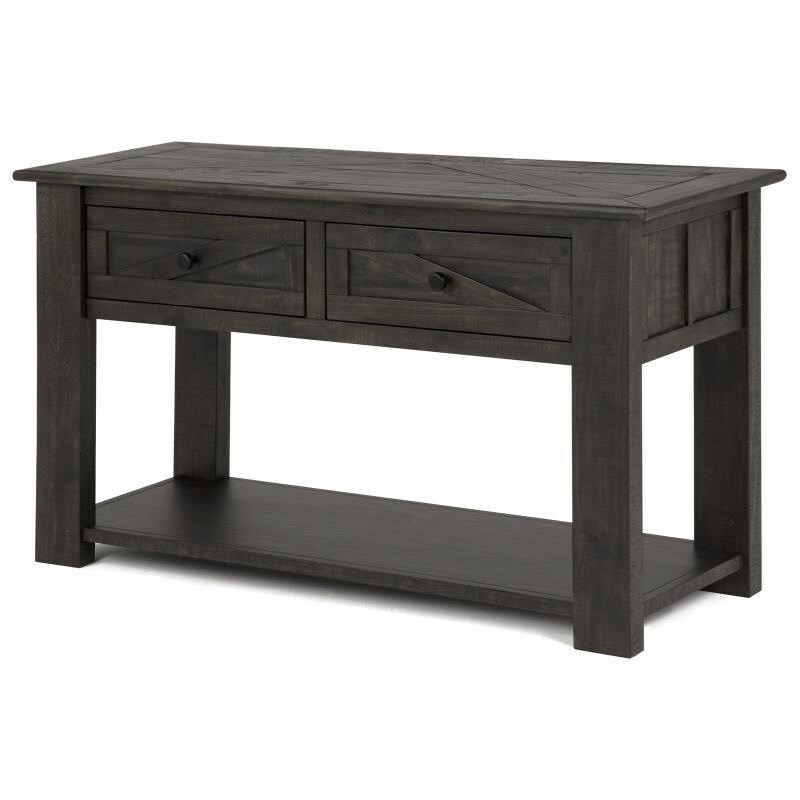 This sophisticated console table will be a perfect accent piece in a living room or front entryway. A weathered charcoal finish adds a contemporary charm to the simple, rustic design. The table has a two drawer and shelf for convenient storage space. The Garrett 3778 Rustic Rectangular Sofa Table by Magnussen Home at Reeds Furniture in the Los Angeles, Thousand Oaks, Simi Valley, Agoura Hills, Woodland Hills, California area. Product availability may vary. Contact us for the most current availability on this product. Browse other items in the Garrett 3778 collection from Reeds Furniture in the Los Angeles, Thousand Oaks, Simi Valley, Agoura Hills, Woodland Hills, California area.